Perusing the New York Public Library’s archive of historical menus is an eye-opening jaunt through the unfamiliar food cultures of yore. 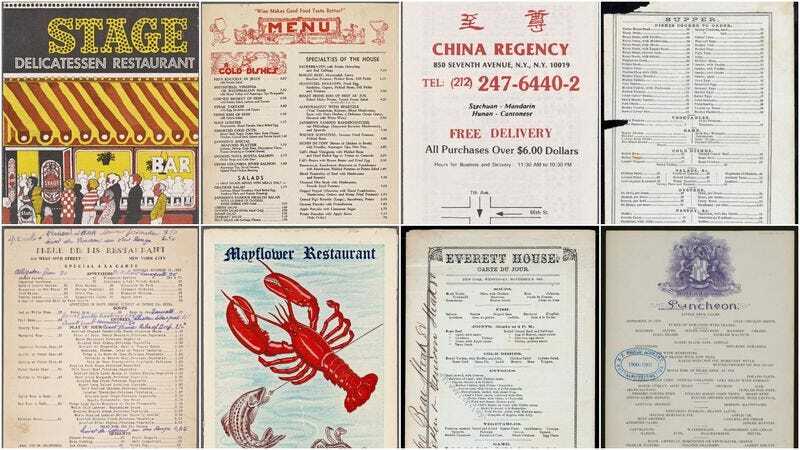 What’s really impressive about the initiative—called “What’s on the menu?”—is that from NYPL’s robust initial goal of transcribing and digitizing 9,000 menus, there’s now 45,000 menus in the database from across the globe, dating as far back as the 1840s. Food geeks can easily get lost down the rabbit hole and lose a few hours on this site. The menus vary wildly in food, price point, and clientele, from Michelin-starred French restaurants to greasy spoons and Chinese take-out joints. My fascination, though, lies in the site’s dusty corners of the 1890s and earlier. What’s interesting is that even though American palates are more receptive to ambitious and unorthodox flavors, restaurant diners in the 19th century were way more open in the meats they consumed. If there’s a modern-day behavior that seems counterintuitive, it’s that we’ve narrowed down our protein choices to a handful of fish and shellfish and particular cuts of beef, pork, chicken, and lamb. If it’s not from a fleshy non-organ part of an animal, the 2017 restaurant diner won’t likely touch. Hock (not the German white wine, but pork knuckle) was another beloved animal part, likely because it was fatty and gelatinous, and the exterior rind crisps up beautifully. Today, outside German or Chinese restaurants, hock is all but forgotten—a shame, truly. Eel is another protein of yesteryear you won’t find today, except in Japanese restaurants. 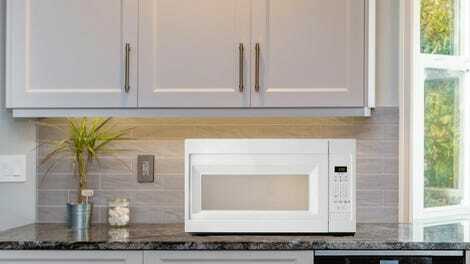 Popular methods of preparation include stewing it, smoking it, chilling it with aspic, or adding it to scrambled eggs. A 1900 menu from Boston Oyster House served a dish called hamburger eel in jelly. Kidney was served at the finest restaurants at the beginning of the 20th century, but its popularity diminished greatly in recent decades. A more popular offal was liver, but it, too, has fallen out of favor. Ditto calf and lamb’s brain. Turtle soup (and the cheaper, more popular mock turtle soup) all but disappeared from menus by 1987. The restaurant diners of the late 19th century were also more open to different species of fowl and game birds. This 1858 menu from Parker House in Boston (of Parker House roll fame) offers five varieties of duck, geese, partridge, and grouse. Some stray observations by the decade: The most popular entree on menus from the 1850s was chicken salad, also listed as “mayonnaise of chicken.” A decade later, corned beef appeared on more menus than any other dish (820 menus in this database). By the 1890s, seafood was gaining prominence as the entree of choice. Little Neck clams were the most frequent dish to appear on menus (676) in restaurants that opened this decade. The first decade of the 1900s saw lobster cocktail surge (830 menus), and then it was shrimp cocktail that was in vogue during the 1910s and 1920s. So yes, our palates have evolved, but our definition of adventurous is more about method of preparation and geography of dish. No time in history have Americans been more receptive of sampling chicken tagine or Korean fried chicken, but it better damn well be a drumstick and not a gizzard or some other, unrecognizable part.